House hunting can be overwhelming, time consuming, and yes, even frightening. But there’s no reason to be afraid of house hunting if you follow these simple strategies. 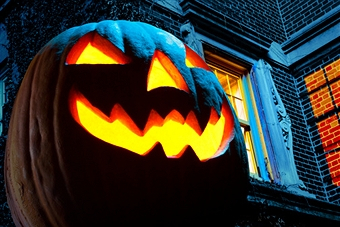 Before you know it, you’ll scare away any stress and avoid the House of Horrors! Your first step before anything else is to become educated about the process of buying a home. Even though there’s tons of information out there on the Internet, one of the best ways to get informed is to sit down with an agent for an initial consultation. Don’t feel like you need to have it all figured out when you make this first step. Just say, “I’ve made a decision to be a homeowner, can you help me with the rest? !” That’s all you need to do at this point in the process. After this first meeting, you’ll have a better understanding of what to expect, and your agent will have a better understanding of you, your goals and how to help you make the right decision for your particular needs, wants and budget. Once you have a sense of the process, you’ll need to get pre-approved for a loan BEFORE you start looking at homes. Why? Because you need to make sure that you’ve got the financial part “right on the money” so to speak. Your agent should be able to make some recommendations of lenders. Lending programs are very different depending on your price range. It’s not as simple as it once was and financing has to be figured out first so you aren’t looking at homes in a too high or too low price range. This helps you narrow down your search considerably and also allows you to move forward confidently when you do find the perfect house. Also see if you qualify for any first-time homebuyer programs in your area. You’d be amazed at what is out there for low- to mid-range incomes. Most Importantly, Know Your Needs and Wants. You might never find the “perfect” home but you must decide what you need and also want in your first home. Your needs are different than your wants. You need two bathrooms but want a master bath and suite. You need three bedrooms but a fourth bedroom would be nice for guests. See the difference between a need and want? You shouldn’t compromise on your needs but could on your wants. Put your list of needs and wants in writing — remember to be specific and know what you consider your deal breakers. This will make your search more effective and efficient. It definitely can be hard to choose what you prefer more (location or three bedrooms) or what you’re willing to do without (large backyard or updated, renovated kitchen). That’s why you need to keep referring to your list of must-haves and “deal breakers” so you keep focused. Read our article in Curbed about how to help with this part in the process. Remember, the location of your home will affect everything about your lifestyle – from whether it has urban conveniences or will mean a longer commute to work — so always keep that in mind. 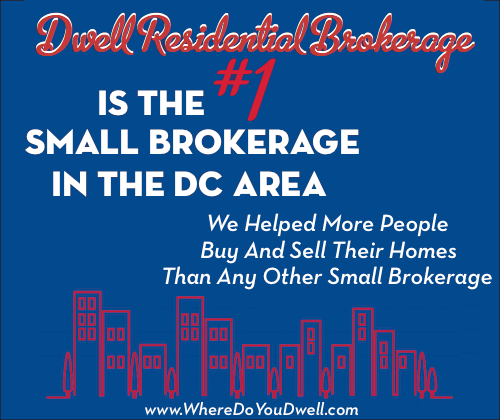 First figure out WHERE you want to live in the metro region — DC, MD, or VA? Which specific neighborhood or even another similar neighborhood do you picture yourself living in? Think about the characteristics of a neighborhood and ask yourself why is that important to you since it could be replicated it in a similar, less expensive neighborhood. Think about your daily life. Love walking to work and don’t want that to change? Then, that becomes a “must” and everything else could change (size, condition, etc). I can’t say this enough … keep a record of all your research and handouts on the homes you visit. Write down comments of your likes, dislikes and any other helpful, more detailed observations. Don’t forget to take pictures. You’ll be amazed that you start to forget what you’ve seen in certain homes: beautiful hardwood floors, amazing fireplace or perhaps odors from a nearby restaurant or a view of a dumpster! Later, you can easily go through your notes and pictures to compare costs, neighborhoods, and home features. This also helps you stay focused on your needs and wants. Make sure your agent is aware of your time schedule and expectations. Do you like to look at one or two homes in a session? Four? Eight? Weekends or certain weeknights? Your agent can better serve you and any time constraints if you make these arrangements from the get-go. Your schedule also will be affected by your local market and if homes are moving quickly or not. You may need to up your pace so you don’t lose out on a potential home. Don’t spend time driving around a neighborhood without a purpose! If you like driving around by yourself looking at homes, ask for a list of drive-bys or homes on the market you can consider from the outside. If one appeals to you, then your agent can make an appointment to see the interior (don’t just rely on Internet photos). Many times, the outside, the street, the neighborhood is a deal breaker so just move on down the list. Honest communication is essential. Express your likes and dislikes after seeing a home. Don’t be afraid to tell your agent what you really think since they won’t take it personally…they don’t own the home! The more open you are with your agent, the better they know your personality and can better identify houses that will appeal to you. Don’t panic, a smart house hunting strategy like the one above that we lead our clients through here at Dwell Residential will lead you to your first or next home.